The White Wolf is one of Black Panther’s more dangerous opponents as he is a threat to Wakanda itself. 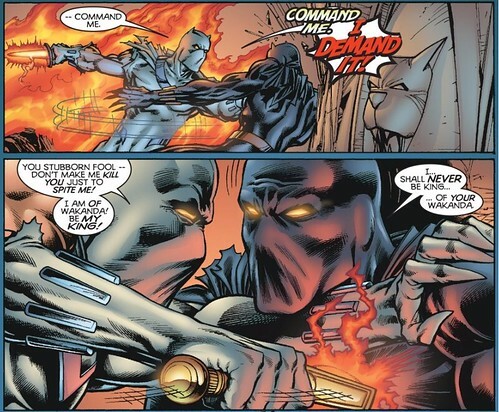 His hand to hand skills are on point and in a fair fight Black Panther only has a slight edge. Fortunately for T’Challa, he also has a wide array of armors at his disposal which will make it easier for him to take White Wolf’s hits while dishing out lethal ones. Panther has grown stronger with time while the White Wolf has remained relatively stagnant. Black Panther wins. This entry was posted in Battles, Black Panther Battles, White Wolf Battles and tagged Black Panther, White Wolf by dreager1. Bookmark the permalink.